It stood at the pinnacle of American car racing during the golden age of the sport in the 50s and 60s. They called it The Bridge and mostly they loved and feared the place. Stirling Moss called it the most challenging course in America and routinely it embarrassed world class drivers during the heyday of the Can-Am, Trans-Am and international sports car races. It was a place of wonderfully diabolical natural beauty. The Bridge is no longer. It's a private, luxury golf course now. Key portions of the track have been preserved however, and if you listen, you can almost hear the roar of the groundthumpers flying into Millstone corner at 200 mph to the whoop of 80,000 fans. This is your site. It's maintained as a tribute by the Bridgehampton Racing Heritage Group, a band of enthusiasts who kept racing alive at Bridgehampton for nearly two decades. If you ever experienced The Bridge, we welcome your photos and comments. Through this site, the excitement of Bridgehampton lives on. 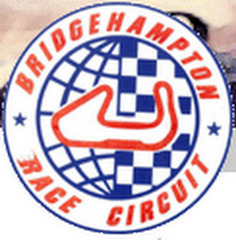 Nothing has been shared for Bridgehampton Race Circuit yet.